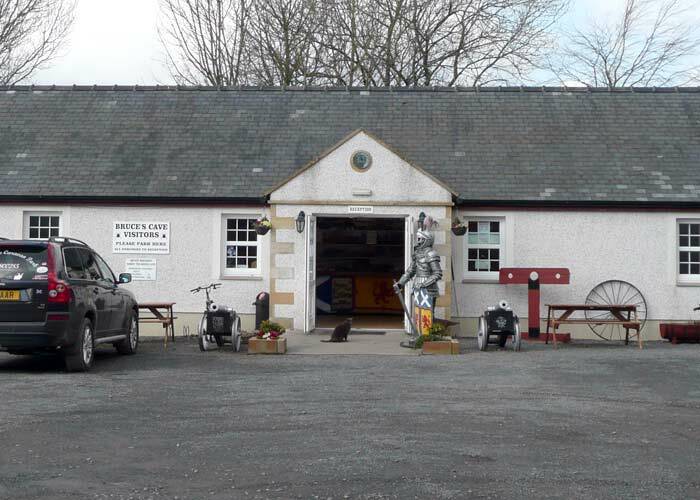 Built in 1725, Cove house stands in the centre of Cove Estate Park. 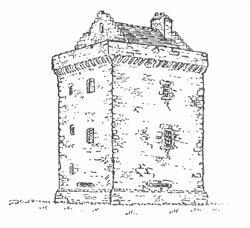 The house stands on the foundation of Dunskellie Castle which in the 12th and early 13th Century was the home of William Irving of Dunskellie. William was a great friend of Robert Bruce, Lord of Annandale – later to become Robert the First of Scotland – the Famous King Robert The Bruce. 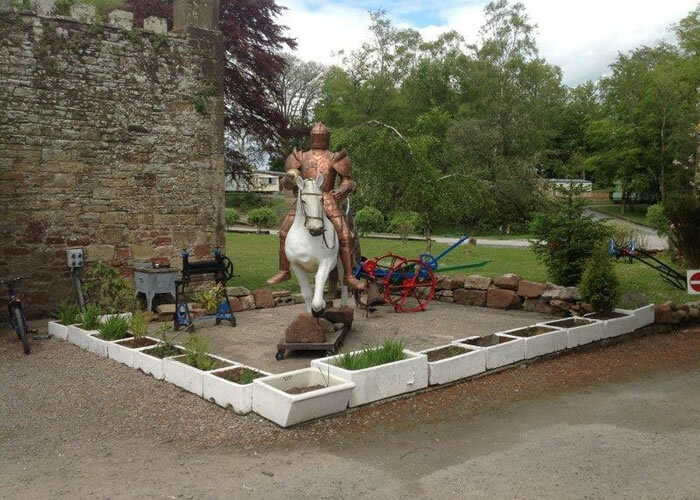 Robert The Bruce, born at Lochmaben Castle in 1274, was Knight and Overlord of Annandale and was crowned King of Scotland in 1306. William supported Bruce and his claim to the Scottish throne throughout the Scottish Wars of Independence including the bleakest times when after suffering several defeats at the hands of the English, The Bruce fled the battlefield in 1306 and sought refuge with his friend William Irving. 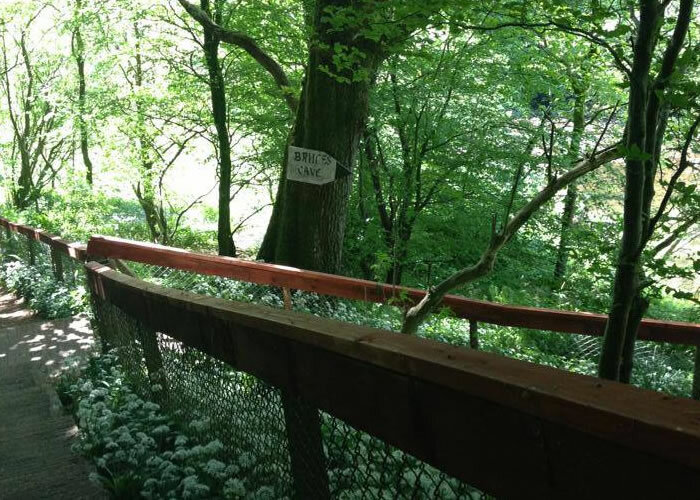 As Dunskellie was situated, in these vulnerable times, so close to the border with England – if you had something of any value you needed somewhere safe and secret to keep it. 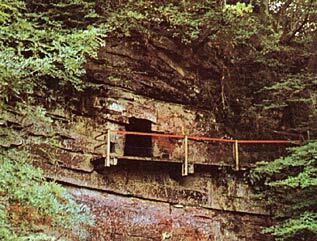 Dunskellie had such a place – a vault for keeping their valuables – a secret cave high in the cliff above the River Kirtle. It was here William sheltered Robert and hid him and kept him safe – he spent three months living a solitary existence at a time when The Wars of Independence were at their bleakest for the Scots. Whilst reflecting on events and collecting his thoughts in the cave, legend has it a spider caught Bruce’s eye trying to make its web across an opening. The spider kept trying and failing to make the web. This reminded Bruce of his struggle with the English. As he continued to watch, the determined spider did not give up but kept trying until eventually the little beast completed it’s web. This struck a chord with Bruce and renewed his belief that if he persevered victory was possible. 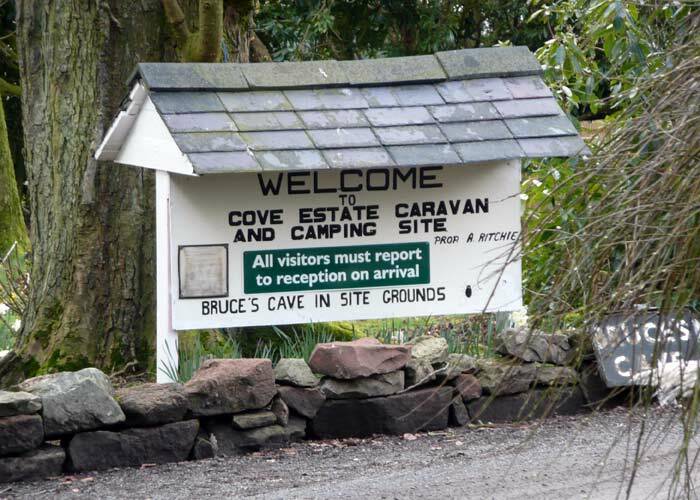 Visitors to Bruce’s Cave are welcome – enquire at Reception on arrival.